BRAND NEW CONSTRUCTION! 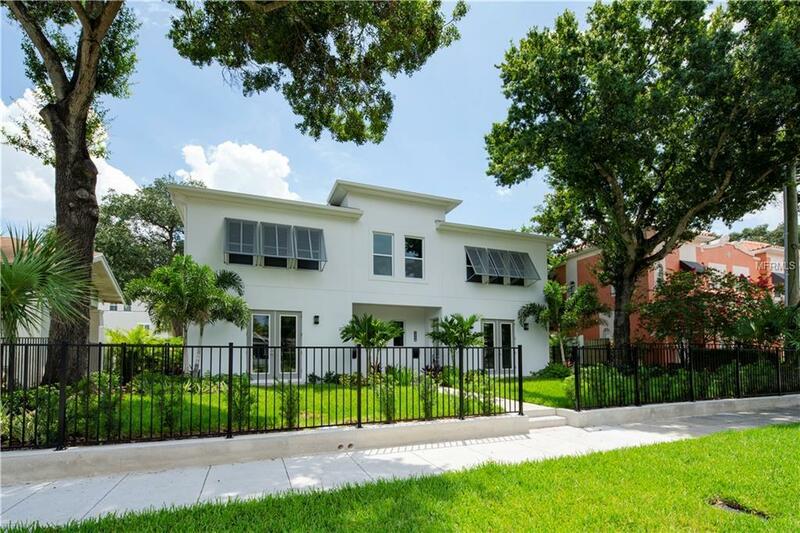 Located in the heart of South Tampa, Albany Townhomes exude luxury and sophistication. Feel more like you are living in a single-family home than a townhome with 4 Bedrooms + Loft, 3.5 Bathrooms, 3,332 square feet of living space, 2 Car Garage, & private outdoor patio. These high-end, low maintenance townhomes offer contemporary design and tons of upgrades including wood floors throughout, 42 cabinets in a gourmet chefs kitchen, stone counter tops, and stainless appliances including a gas slide in range. The downstairs main living area offers an open floorplan with kitchen overlooking the dining room and adjoining living room and powder bath. All bedrooms are located on the second floor including the spacious master suite with a large walk in closet and en suite bath with separate vanities and large walk-in shower. Located within walking distance to popular restaurants, gyms, malls, & shopping plazas, youre surrounded by entertainment and eateries.